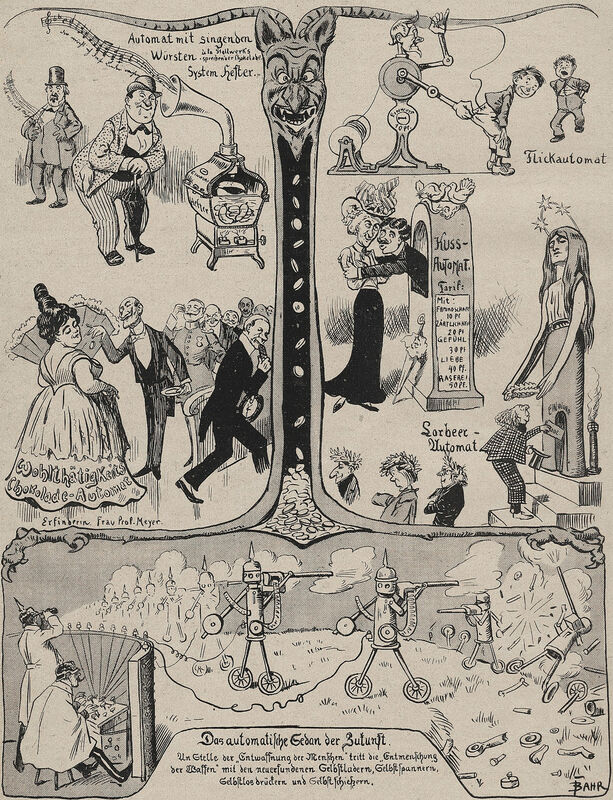 Audience automation — a precursor to canned laughter. From Lustige Blätter, 1904. Revealed -- it's the Devil who collects the coins from automated life. 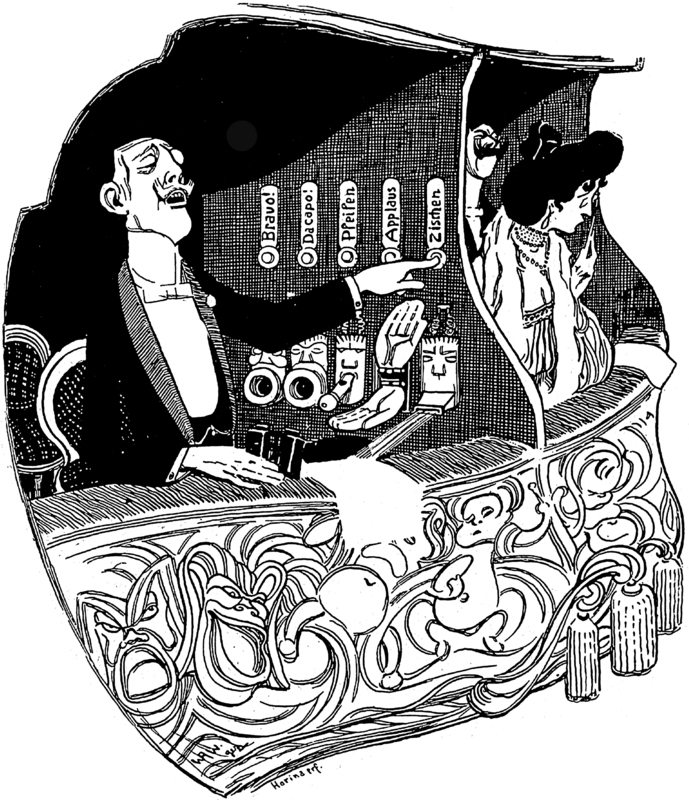 From Lustige Blätter, 1904.